Sony's recently announced PlayStation Silver Wired Stereo Headset is out today and available to order from Amazon. 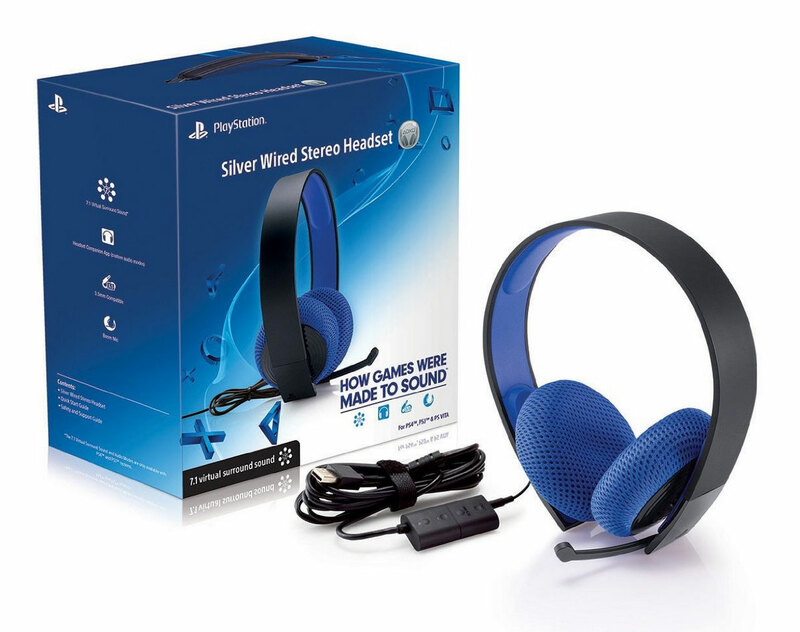 The Silver Wired Headset follows in the footsteps of the PlayStation Gold Wireless Stereo Headset as it offers 7.1 Virtual Surround Sound, Custom audio modes via PSN and the Headset Companion App, and PS4 UI and system integration. In contrast, the Silver Wired Headset is wired by USB to the PS4 for full functionality or to the DualShock 4 for typical stereo headset performance. It also has a different on-ear breathable speaker design and uses a retractable boom mic. Volume and mic controls are located in-line. For an idea of how well the PlayStation Gold Wireless Stereo Headset works, go here. Like the Gold model, the Silver is fully compatible via USB with the PS4, PS3, and to a lesser degree, the PC. It can also be used with the Vita and other devices by way of a 3.5mm connection. The Silver Wired Headset is priced at $69.99. In comparison, the excellent Gold Wireless Stereo Headset can be had right now for $80 (normally $99).